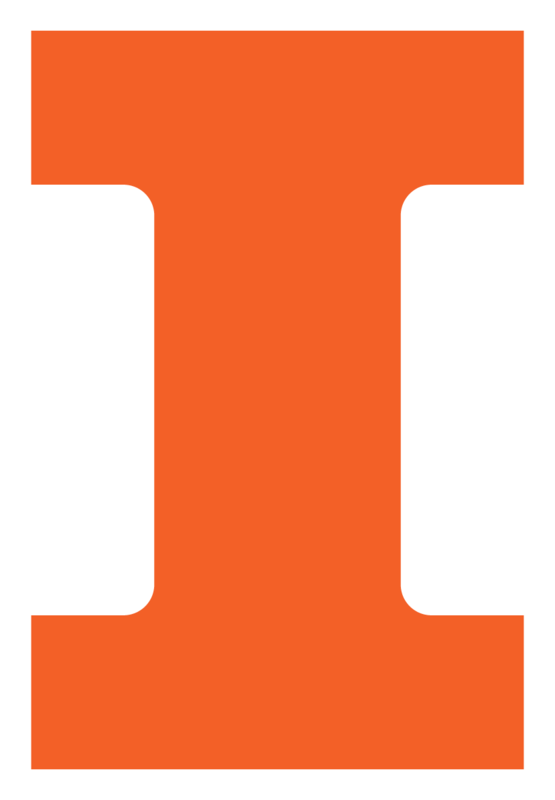 For the latest staff openings at Illinois Computer Science and the University of Illinois at Urbana-Champaign, please see: http://jobs.illinois.edu. The Department of Computer Science is seeking three Instructional Designers to design, develop, and manage effective course material and scalable assessments for use in learning management systems (LMS) and online learning platforms in collaboration with faculty using HTML/CSS and multimedia (including images, audio and video). Additionally, Instructional Designers will design, develop and maintain cloud-based platforms and infrastructure that promote effective teaching strategies and improve student learning experiences using systems programming and cloud-based development environments. 50% - Design and develop high-quality effective course material in collaboration with Computer Science and other faculty while working cooperatively with staff in the College of Engineering and the Center for Innovative Teaching and Learning (CITL). Define learning objectives, create scalable formative and summative student assessments, and evaluate and maintain online course quality. 30% - Maintain expertise in the learning management system (LMS) platforms utilized for the courses offered by the Department of Computer Science, and design, develop and extend these platforms and other infrastructure that promotes effective teaching strategies and that improves student learning experiences. Bachelor’s Degree in computer science, educational technology or a related field. Advanced coursework in computer science or a related field. Demonstrated experience in working with learning management systems/online learning platforms. Experience with HTML/CSS, multimedia (including images, audio, and video), and development tools. Graduate degree in computer science, educational technology or a related field. Experience with the Coursera MOOC platform or other LMS platforms. Experience in the design or delivery of online course material. Experience in CS education as an instructor or teaching assistant. The Instructional Designer position is a full-time, benefits-eligible academic professional position appointed on a 12-month service basis. The expected start date is as soon as possible after the closing date. Applicants may be interviewed before the closing date; however, no hiring decision will be made until after that date. Salary is commensurate with experience and qualifications. To apply for this position, please create your candidate profile at http://jobs.illinois.edu and upload your cover letter, resume, and names/contact information for three references as a single pdf file by April 19, 2019. Full consideration will be given to complete applications received by the closing date. For further information regarding application procedures, contact Denise Corray, decorray@illinois.edu, 217-300-3309. The Coordinated Science Lab, Department of Computer Science ,and the Information Trust Institute, all within the College of Engineering at the University of Illinois, are seeking a Graphic Design Specialist to coordinate and implement the graphic design and branding plan for these organizations. CSL is a premier, multidisciplinary research laboratory in the College of Engineering, focusing on the information technology at the crossroads of computing, control and communications. With a rich history of more than 65 years of innovation, CSL has developed and deployed new technologies that have achieved international scientific recognition and transformed society. Led by a faculty of world-renowned experts and researchers, CSL uses the innovations to explore critical issues in defense, medicine, environmental sciences, robotics, life-enhancement for the disabled, and aeronautics. Primary Position Function/Summary: Produce graphic design solutions for marketing challenges, meeting these organizations’ needs and project goals while engaging our primary audiences. The graphic design specialist will work with and refine the visual system and identity standards used across the university and within these units. Create original design work for websites, print pieces, newsletters, infographics, flyers, and other items as needed. Lead the design and development of marketing materials for CS, CSL/ITI, and their centers and institutes while adhering to the graphic standards of the University. Work collaboratively with other communications team members to complete work. Provide leadership on special projects from the Directors, including working with faculty, staff and students, and develop timelines for design work. Act as liaison with other design professionals at the University. Collaborate directly with outside vendors such as video producers, photographers and printers to achieve superior results. Assume additional appropriate related graphic design duties to further the mission of the laboratory. Education Required: Bachelor’s degree in design, communications, or related field. Experience Required: One (1) year (12 months) of professional experience in one or more of the following: graphic design, current design software, visual design, printing processes, photography, or typography. Knowledge of web and interface and user experience design. Knowledge of HTML and CSS. Knowledge of media production, including social media platforms and efficiency of use, communication, and dissemination techniques and methods. Knowledge of marketing strategy and tactics. Skill in time management, organizing work assignments, and responding quickly and effectively to challenges. Skill with Adobe Creative Cloud. Skill in verbal and written communication. Ability to develop and execute marketing, and strategic communications plans to effect outcomes. This is a full-time, 100%, Civil Service Marketing Associate classification and will report dually to both CSL and Computer Science, appointed on a 12-month service basis. The expected start date is as soon as possible after deadline. Salary is commensurate with experience. In order to be considered as a transfer candidate, you must apply for this position using the “Apply for Position” button below. Applications not submitted through this website will not be considered. For further information about this specific position, contact Amy Gilbert at 217-244-1802. Please monitor your email (including spam or junk mail) for testing and other correspondence from SHR-TESTING@mx.uillinois.edu and shr@uillinois.edu. For further information regarding application procedures, contact 217-333-2137. The University of Illinois conducts criminal background checks on all job candidates upon acceptance of a contingent offer.The University of Illinois is an Equal Opportunity, Affirmative Action employer. Minorities, women, veterans and individuals with disabilities are encouraged to apply. For more information, visit http://go.illinois.edu/EEO.